For the second consecutive season, Real Madrid and Panathinaikos OPAP Athens will go head to head for a playoff series that promises to deliver unmissable drama as the reigning champ takes on a team in red-hot form – especially considering the rich recent history between the teams. Rudy's stunner to exert psychological impact? Game 1 of this mouth-watering series will be the second time that Madrid and Panathinaikos go head to head in the last month. And their last matchup, in Athens in Round 29 of the regular season, was a thrilling encounter which saw Panathinaikos race to a huge early advantage, 32-14 at the end of the first quarter, before the Spanish side launched a spectacular comeback culminating with Rudy Fernandez's miraculous game-winning three-pointer on the final buzzer. As the teams meet again, the psychological impact of Rudy's stunning deep strike could be considerable. That hard-to-take defeat – which at the time jeopardized the Greens' advancing into the playoffs – was the only loss suffered by Panathinaikos in the final eight weeks of the season. Being haunted by such a recent memory of blowing a big lead will be difficult for the Greek team to escape. "If we couldn't beat Madrid then, when will we ever be able to do it?" is a question Panathinaikos players will be determined to avoid entering their thinking as they travel to Madrid for the start of the series, but it will be a hard one to ignore. Conversely, of course, Madrid can take comfort in the knowledge that it was still able to beat Panathinaikos even after trailing by 20 points on the road in the hostile environment of Olympic Sports Center Athens. 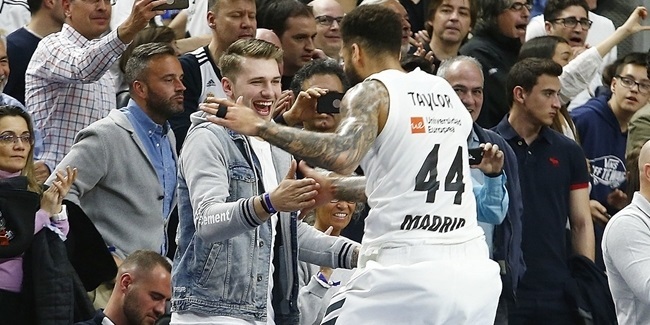 The prospect of facing Panathinaikos, even when it has won seven of its last eight games, holds no fear for this Madrid team and the deeper effects of Rudy's game-winner could extend well beyond simply deciding the outcome of one game in Round 29. Also lurking in the mental background is the fact that the teams also met in last season's playoffs when Madrid recovered from a 95-67 battering in Athens in Game 1 to claim a road victory in Game 2 before finishing the job back on its home floor. The psychological edge appears to be with Los Blancos. On the subject of miraculous game-winners, Panathinaikos also enjoyed one of those in the closing weeks of the regular season; Nick Calathes banked in a crazy game-winner at CSKA Moscow in Round 26 to secure a 77-78 victory, which many regard as a key turning point in the Greek champs' entire season. 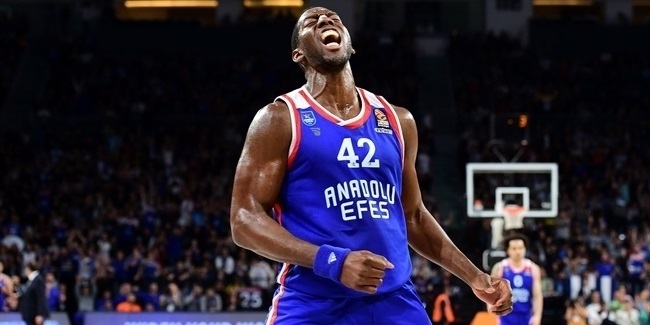 That night's hero is also coming directly off a stupendous performance in the final game of the regular season, a playoff-clinching victory over Buducnost VOLI Podgorica which saw the experienced point guard record the first triple-double in the Turkish Airlines EuroLeague since 2006. With his game-winner at CSKA and that 11-points, 12-assist, 18-point display adding to a series of outstanding contributions over the last few weeks, Calathes is in the best form of his career right now and looks more than ready to rise to the challenge of guiding his team back to the Final Four after an absence of six years. After leading the Greens in scoring (12.3 points per game), rebounding (4.5 rpg), assists (8.9 apg) and steals (1.7 spg) during the regular season, it's impossible to overstate the importance of Calathes to the Panathinaikos cause. If he maintains his recent form, his team will clearly take some stopping, but Madrid will perhaps attempt to focus on another statistical "achievement" of Calathes: with 3.1 turnovers per game, he lost possession more often than any other player during the regular season (his total of 94 turnovers was followed by Vasilije Micic of Anadolu Efes Istanbul with 86). Exactly how Madrid will attempt to minimize the influence of Calathes remains to be seen; perhaps by working hard to close down his passing options; perhaps by double-teaming him; perhaps by forcing him into three-point shots (he made only 25.8% of attempts from beyond the arc this season). But one thing is for sure: Calathes will have a lot of the ball in this series and how effectively he uses it will be a major factor in the outcome. Like Calathes at Panathinaikos, Madrid also has its own charismatic and gifted veteran leader in the backcourt in the form of Sergio Llull... but he has been sidelined by a hamstring strain and is expected to miss at least the first two games of the series. The absence of Llull will be a major blow for Madrid to overcome and will undoubtedly require Klemen Prepelic to step up considerably from his season averages of 3.6 points and 1.8 assists in 9 minutes on the floor. Prepelic certainly does not lack big-game experience after playing a starring role in Slovenia's triumph at the 2017 EuroBasket (he had 21 points, 4 rebounds and 3 assists in the victory in the final against Serbia), but his experience of taking a lead role in Madrid colors is severely limited and establishing a connection with his teammates in such an intense atmosphere will be a major challenge. Perhaps more so than Prepelic, however, Llull’s injury is a big opportunity for Facundo Campazzo to prove that he can carry the team on his shoulders. Over the last couple of years, the mercurial Argentine has delivered some solid numbers in a secondary role behind first Luka Doncic and then Llull, but now he is facing a completely different set of demands as the main man. He has the talent to flourish in that position, but the mental burden will be a new one for Campazzo and he will have to be ready to accept the onerous responsibility of leading the reigning champ into battle. Of the eight head coaches in this season's playoffs, four are former EuroLeague champions (Zeljko Obradovic, Pablo Laso, Dimitris Itoudis and Svetislav Pesic) and three others (Ergin Ataman, Sarunas Jasikevicius and Velimir Perasovic) have been to the Final Four before. In fact, three of them have won the title as a player, too (Perasovic, Pesic and Saras). There is only one coach not mentioned here and he is a Basketball Hall of Fame member, Rick Pitino. The 66-year-old tactician has seemingly seen it all, but this will not only be Coach Pitino's first time in the EuroLeague playoffs, it will also be his first time coaching in a playoff scenario since 1989 when he was with New York in the NBA! The vast majority of Pitino's career was in the college game, where all post-season games – whether in conference tournaments or the NCAA Championship – are of the win-or-go-home variety. Anyone who cast aspersions on Pitino's sideline abilities got their answers in March and April as Panathinaikos won seven of eight games to not only claim a playoff spot, but to storm into sixth place. It may have taken him time to learn and adjust to EuroLeague basketball and to teach his squad what he wants from them, but there is no doubting that the Panathinaikos team of the end of the season is a much more dangerous squad than the team he inherited initially. That said, the playoffs are a different beast. A best-of-five series that starts with two games in 48 hours forces coaches and players to make adjustments and to make them quickly. Pitino has done it before, but it's been a while and this time he's getting his team ready to face the defending champs. His counterpart, two-time champion Pablo Laso, is making his seventh straight playoff appearance and he has won six series to date. 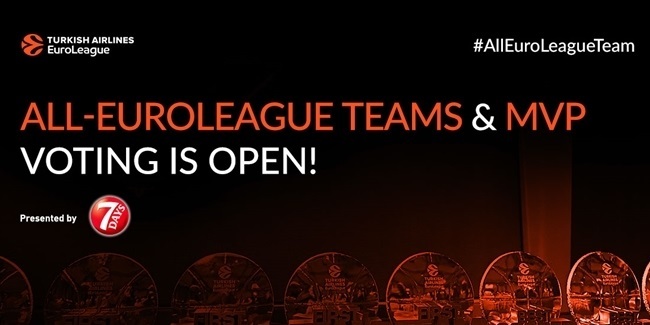 When it comes to this format, Laso has a decisive advantage. However, anyone who has doubted Pitino thus far has been forced to eat his words. These two very different and very successful coaches will play a major role in how this series shakes out.